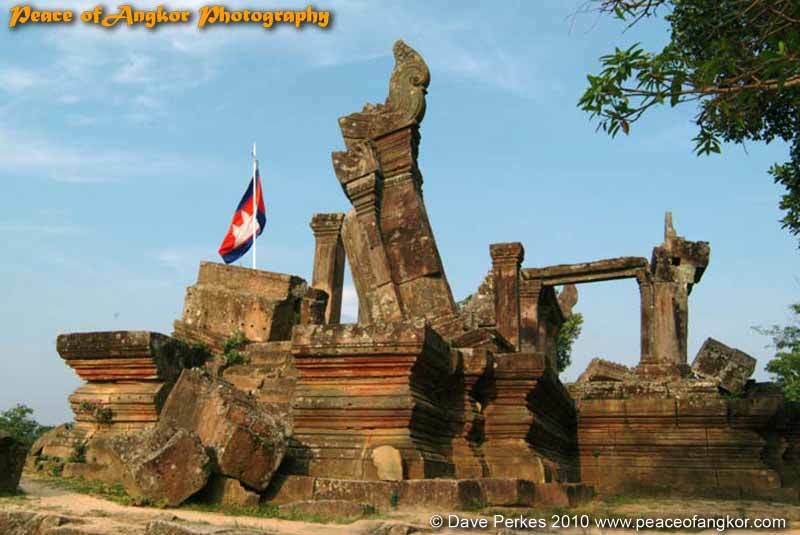 Cambodia has a rich heritage and a wealth of historic sites in the Siem Reap Angkor area . 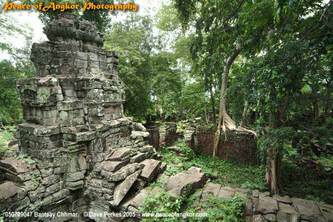 Magnificent as they are; the large numbers of visitors can detract from the atmosphere of many of the the most popular ancient sights. 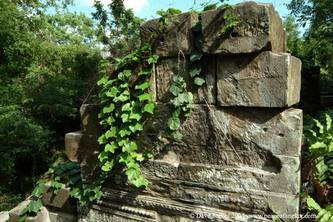 Many remote temple sights are spectacular. 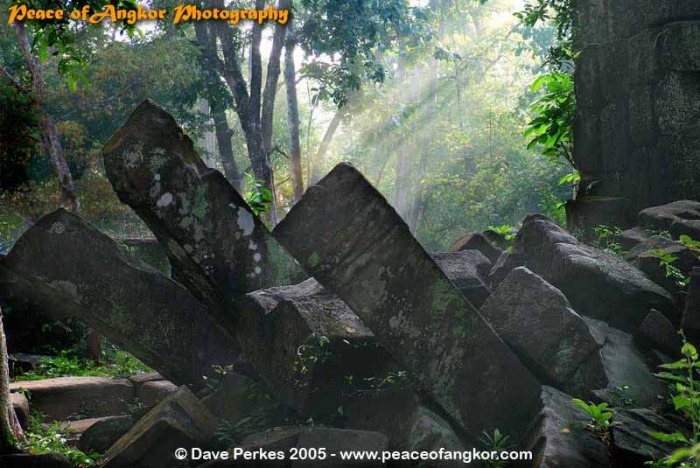 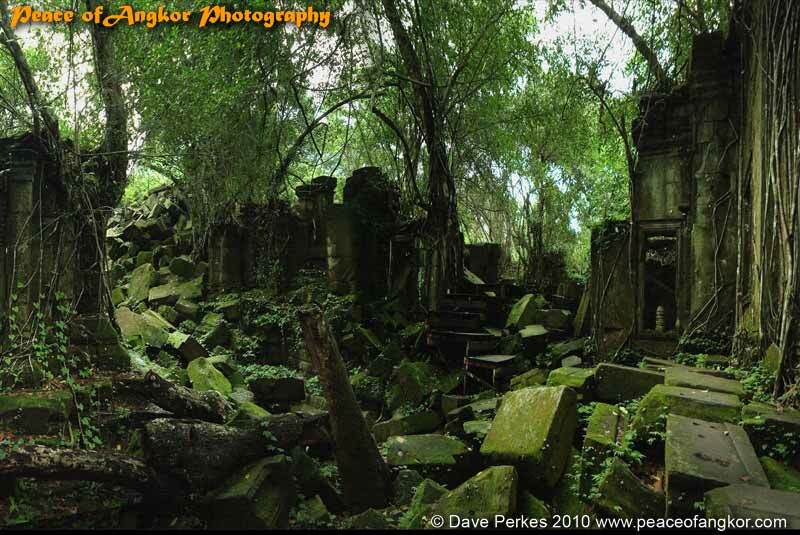 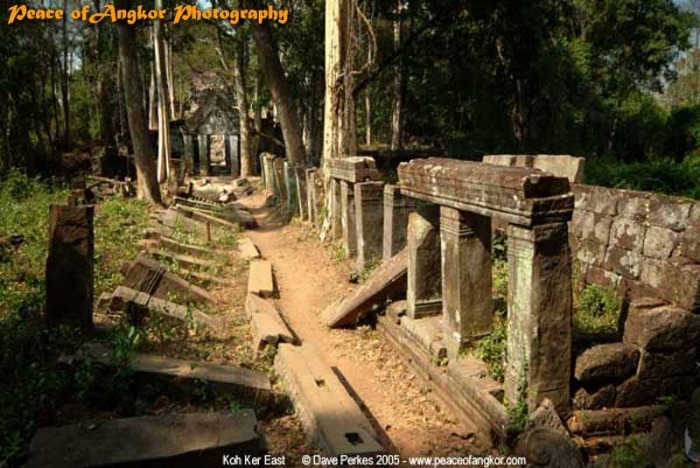 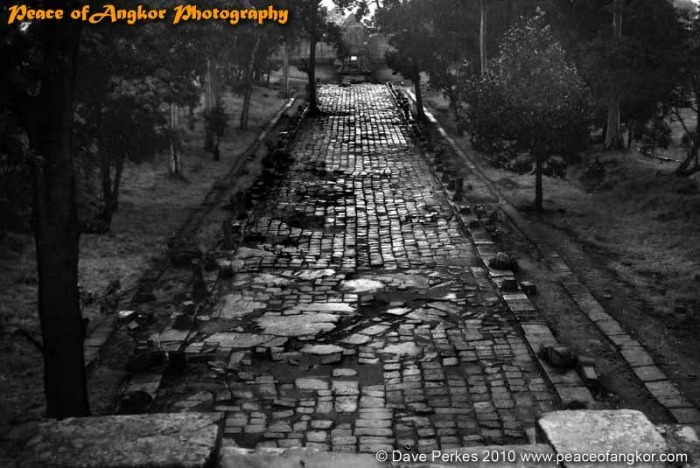 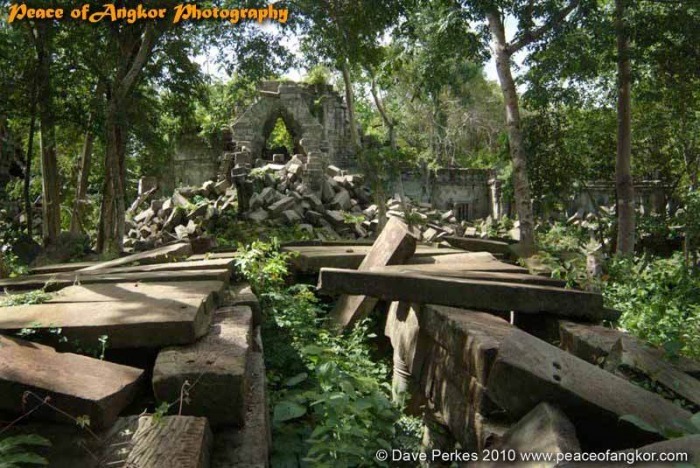 The Jungle Temple of Beng Mealea; the ancient cities of Koh Ker, Sambor Pre Kuk. 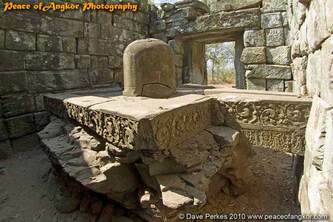 Banteay Chhmar and the vast remote Preah Khan of Kompong Svay; are comparable in scale and grandeur to those at Angkor. Going out into the less visited areas can gain an insight into rural life. Overnights in village lodgings and home stays are a good way to get to know the locals. 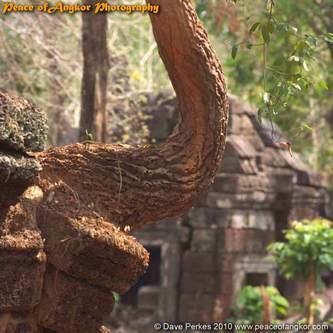 Our tours give ample opportunities to sample this local experience. Peace Of Angkor Have been at the cutting edge of remote tourism since 2004 when we ran our first tours to Beng Mealea and Preah Vihear. We have continually pushed the boundaries of what is possible; way beyond most tour companies. 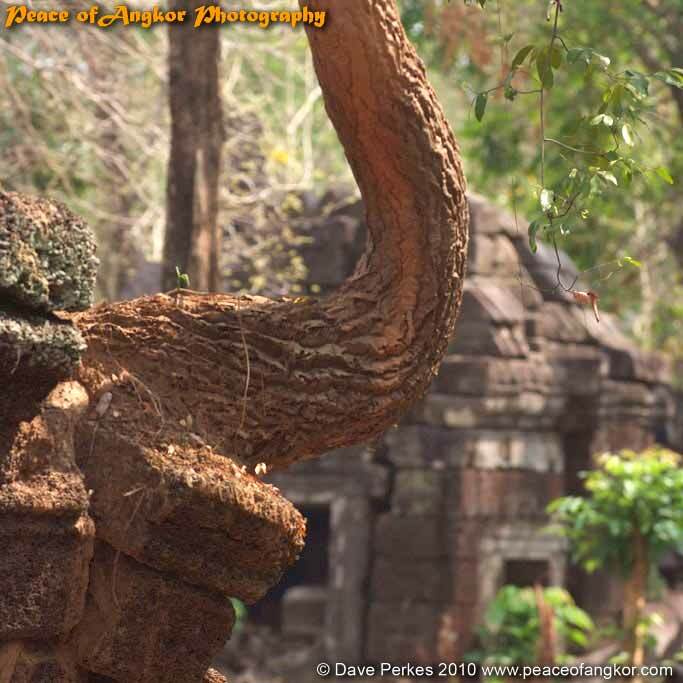 Our unrivaled Remote and photographic experience means; anyone who has any interest in photographing remote Cambodia will have an incredible experience that no other tour company can match! 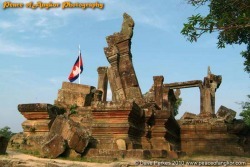 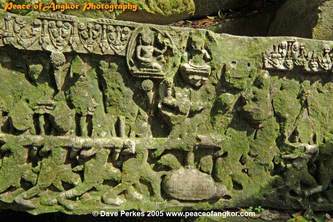 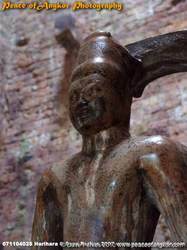 Koh Ker was the Capital of the Khmer Empire for a very brief period from the year 928 to 944 AD. 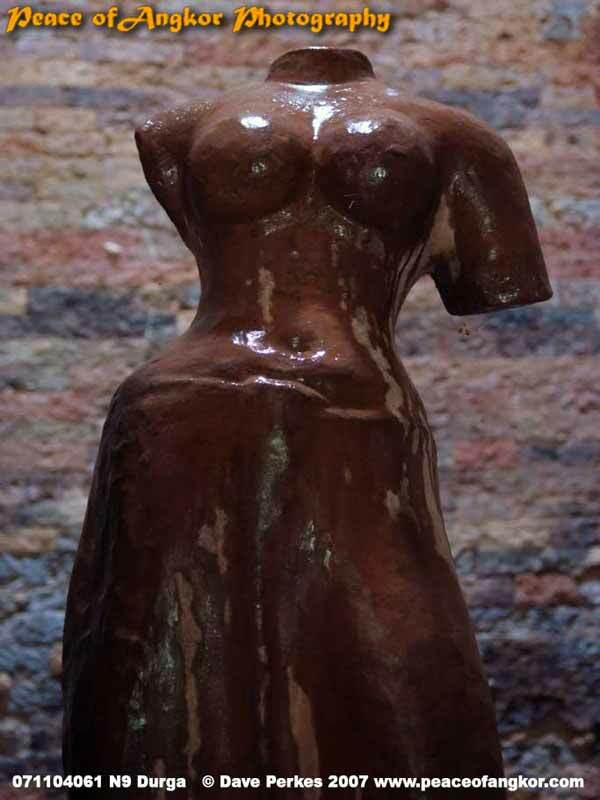 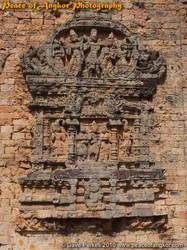 In this short time; some very spectacular buildings and immense sculptures were constructed. 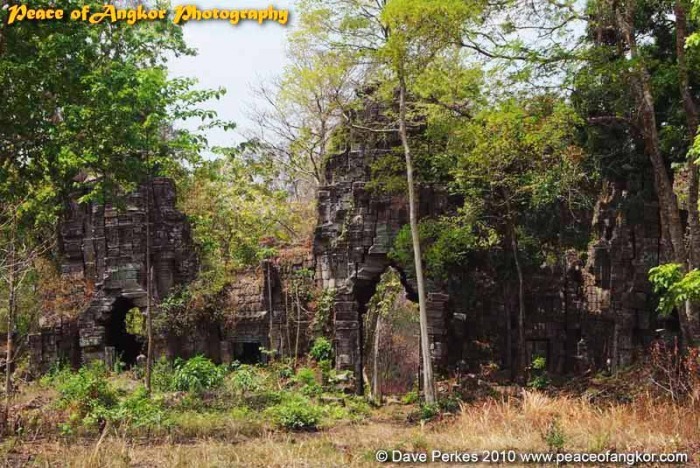 Left to the the jungle for nearly a millennium and mostly un-restored; this great archaeological site has been rarely visited until very recently. The ancient Khmer city is in a distant jungle location with up to a hundred ruined temples including a huge stepped pyramid; the largest in the region. 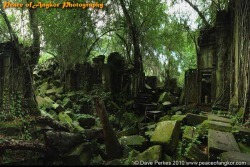 More ancient temples are being found in the jungle; so there is a true sense of discovery here. 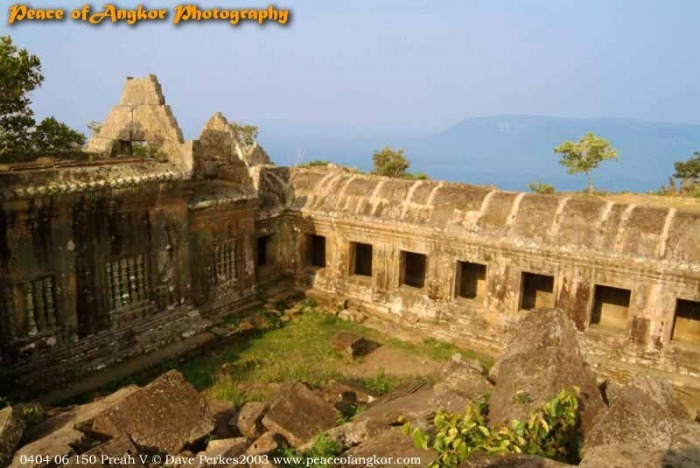 One of the most spectacular sights in Cambodia, Prasat Preah Vihear is set in a stunning location at the top of a 550metre (1500ft) cliff right on the Thai Border. 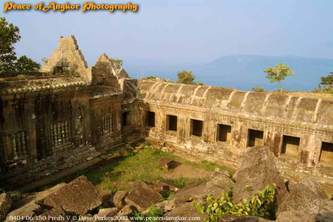 te visitor is rewarded with fabulous views from the impressive ruins which stretch for 800 metres up the mountain. The sanctuary is perched on the edge of the cliffs with amazing views over the seemingly endless Cambodian jungle to the south. 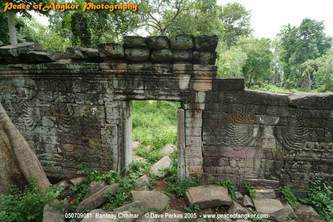 The temple is not yet restored but has some very spectacular carvings and lintels which are almost as splendid as those at Banteay Srey. 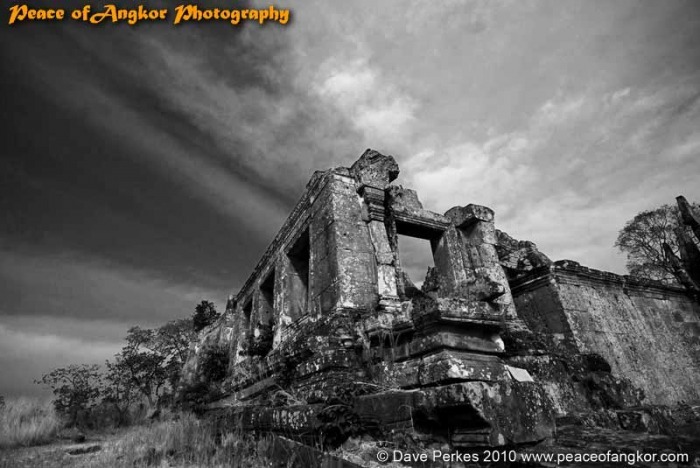 Preah Vihear achieved notoriety as it was the the stage for the final surrender of the Khmer Rouge in 1998. 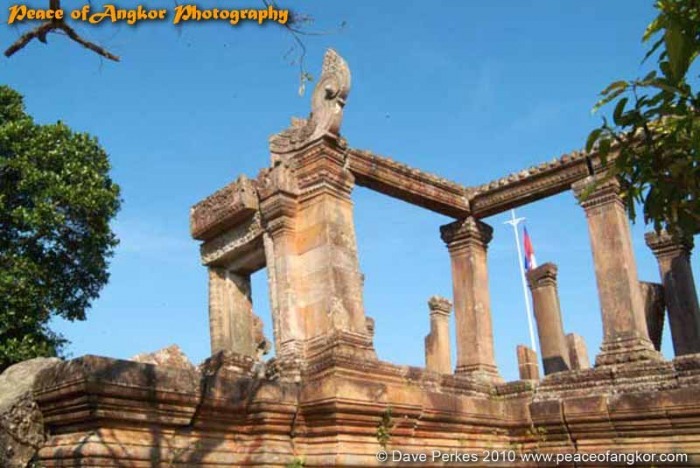 It is still subject to controversy due to a dispute with Thailand over land adjoining the temple. 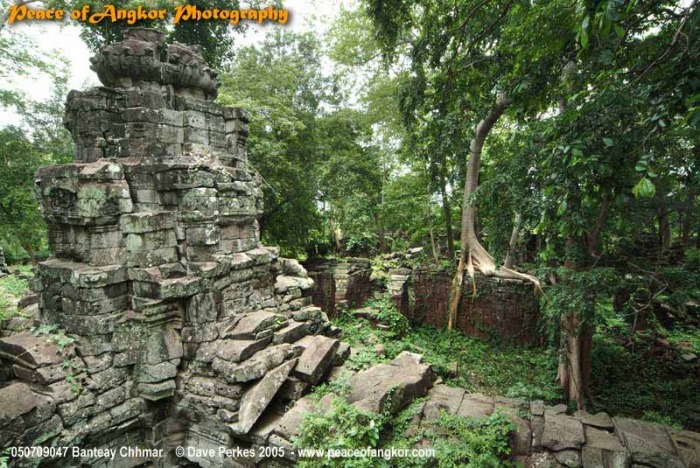 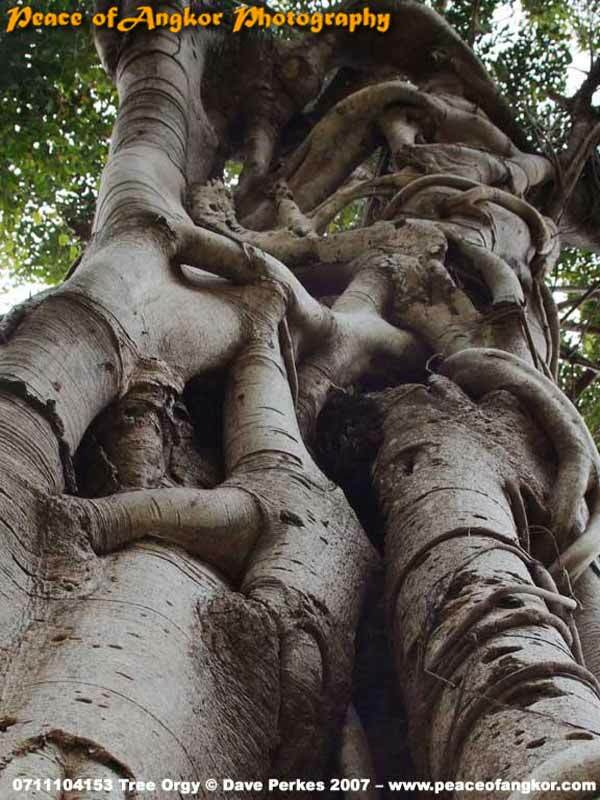 The 7th Century Termple City Of Sambor Pre Kuk is among the Oldest Angkorian Sights. . The 7th Century Temple city is among the oldest pre-dating Angkor Wat By 700 years. 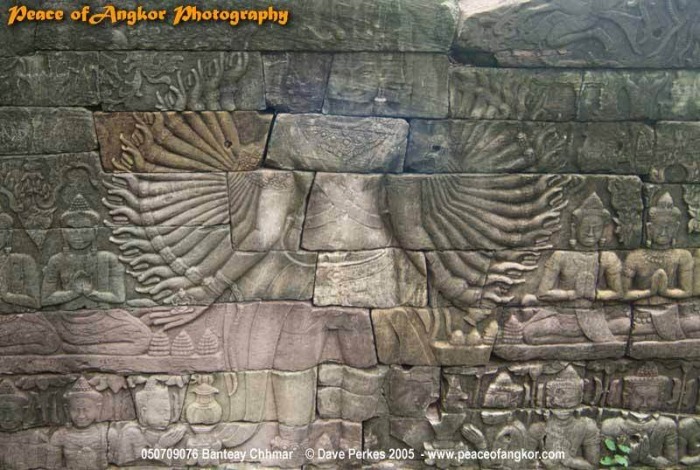 the Brick temples have remarkably well preserved reliefs including the flying palaces. 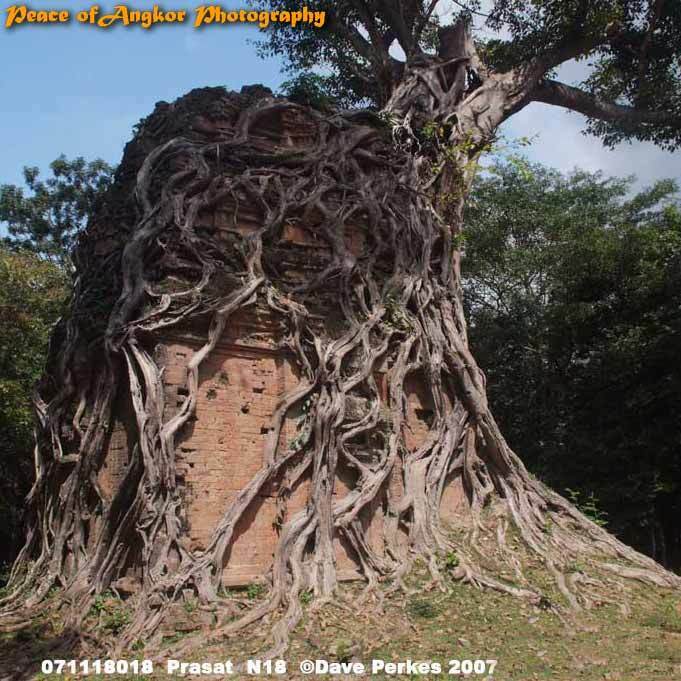 There are some replica sculptures and an amazing tower totally covered in tree roots. Sambor Prei Kuk was the Site of an ancient Chenla city and known as Ishanapura. 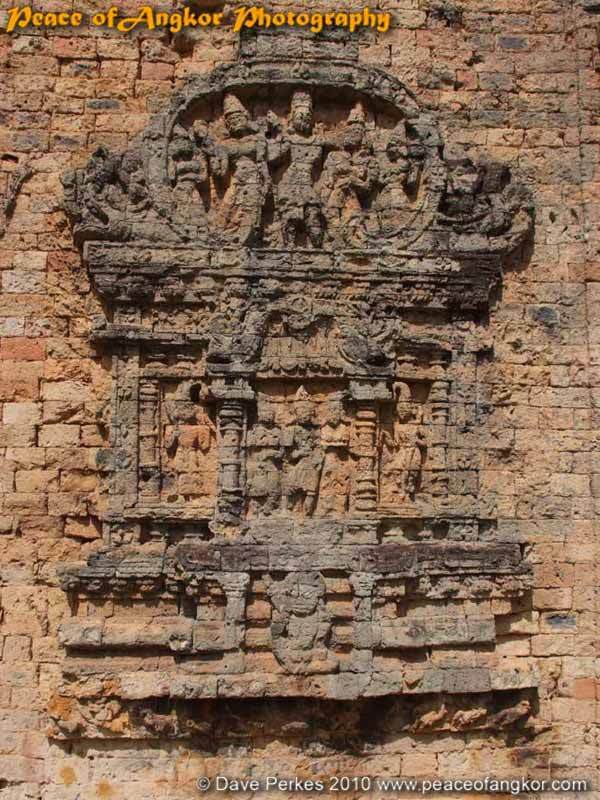 From the 7th Century It was occupied until AD 944 under the reign of Rajenarvaman I. It is Situated 30kms from Kompong Thom; half way from Siem Reap and Phnom Penh. It is a long day excursion or good excuse to break the journey or stay overnight on Kompong Thom on the way to or from Phnom Penh. 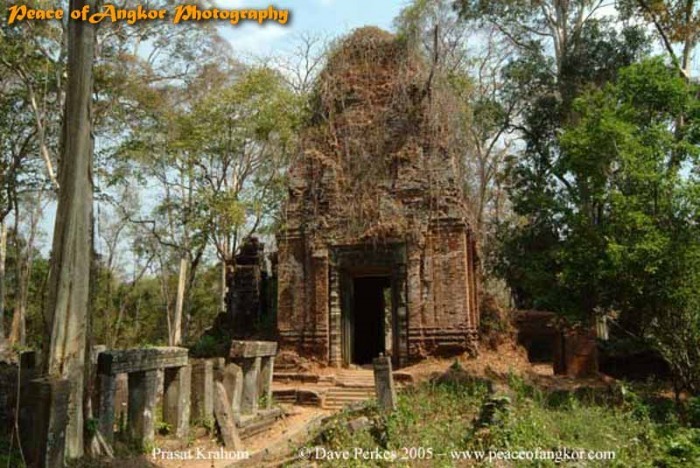 Situated to 120kms to the East of Siem Reap; Preah Khan Kompong Svay ;is also known by its local name Prasat Bakan. 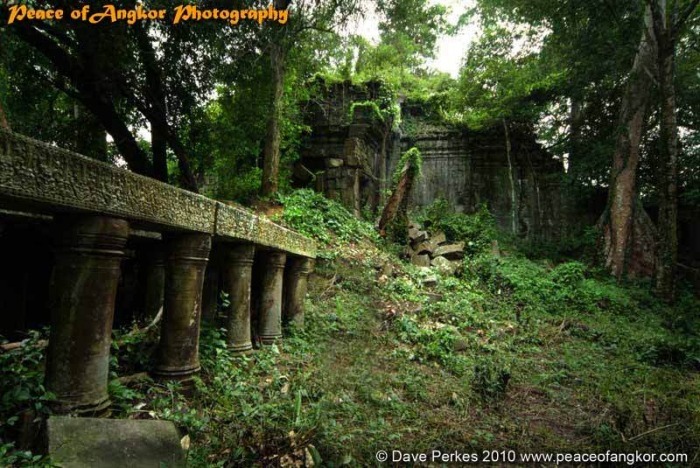 It has some similarity to the Preah Khan in Angkor; however it is considerably bigger and remote. 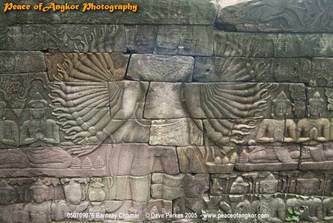 Contained within concentric earth dykes 5kms on each side. 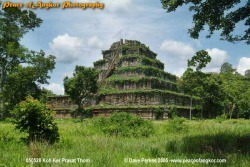 The complex is of gigantic proportions; covering an area 4 times that of Angkor Wat. 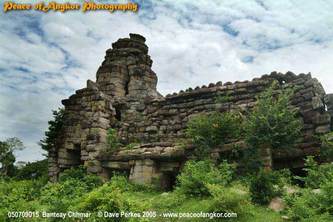 It has a 3 km long Baray, or reservoir, as part of the site and a large number of towers or Prasats within the area. Due to its difficult location within impenetrable jungle with poor road access; the temples of Preah Khan were isolated and hard to reach. 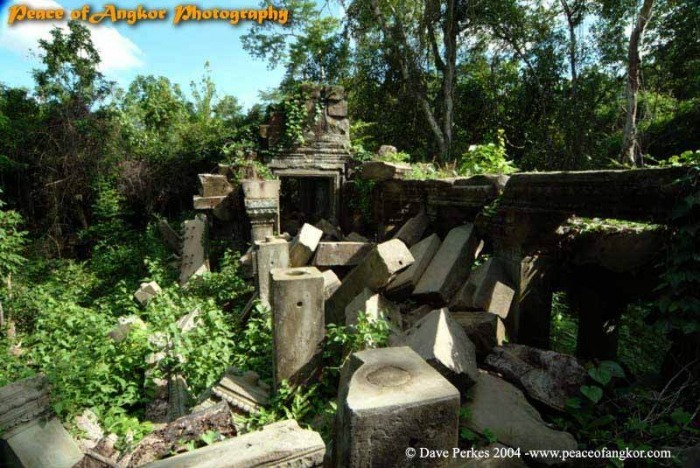 They were badly looted, during the dark years of the Khmer rouge and subsequent Civil War. Banteay Chhmar is a 12th century Temple built;t by Jayavaraman VII It exhibits all the hallmatks of the Bayon style with multi faced towers and remarkable bas relifs. It is Surrounded by a wide moat comparable in scale and size to that of Angkor The remote temple site of Banteay Chhmar is one of the greatest unseen wonders of northern Cambodia. 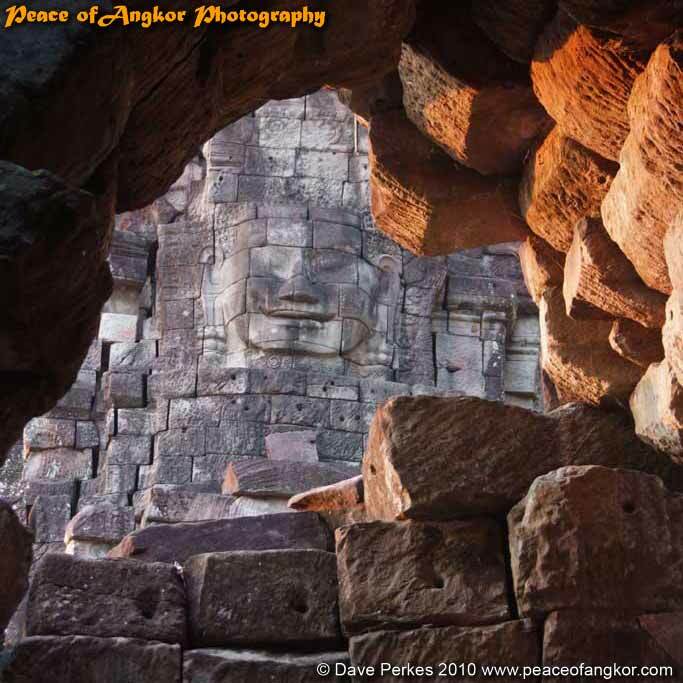 Its scale is huge; having originally covered an area 2x that of Angkor Wat. 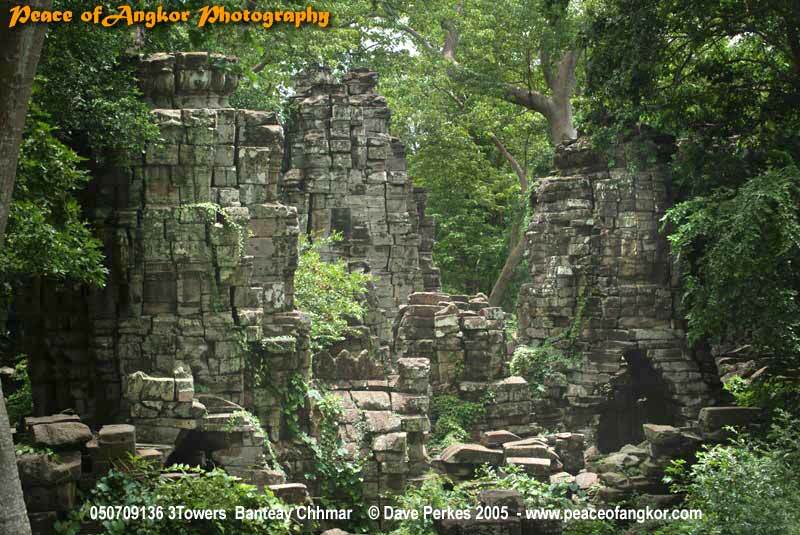 Little remains of its original walls; but the central sanctuary within the moat, has some remaining Bayon style faced towers and impressive bas relifs on the inner sanctuary walls. It’s a wonderful place to visit in the Rainy Season to see the overgrown nature of this vast site. Situated 70 kms north of Svay (Sissophon) it is very close to the Thai Border. 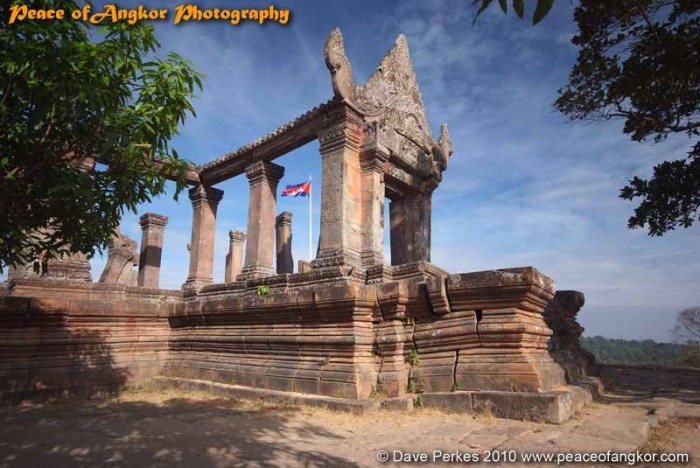 It is unaffected by the current border tensions at Preah Vihear and is jealously guarded by the Cambodian Military who have a large camp nearby. 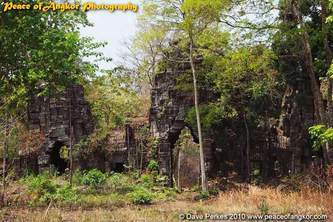 This remote site is one of the most unique and unusual places in Northern Cambodia. 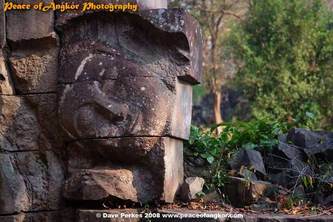 Set to the east of Kulen mountain range it is a set of ancient rock carvings on massive rocks and boulders. 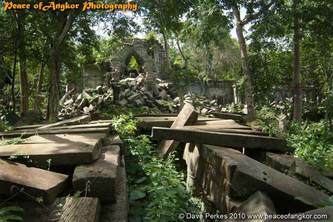 The area around is scattered with huse house sized rocks. 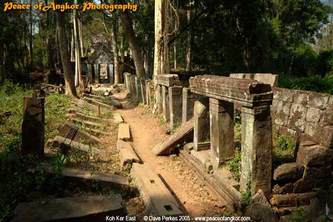 Unkown by ourselves untill 2008 and rarely visited or even hewrd of; Pearng Kunmou is at the end of a rocky track only aceassible by 4WD or motor bikes. It has extensive views and a small wooden pagoda shrine. 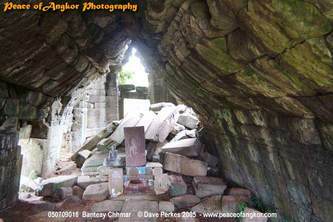 There are handful of people who live here, in huts or shelters under the rocks. 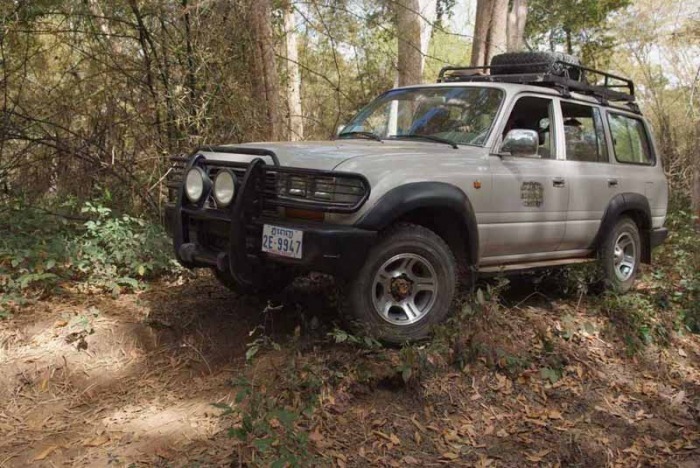 We often go here as part of our remote 4 WD adventure tours. 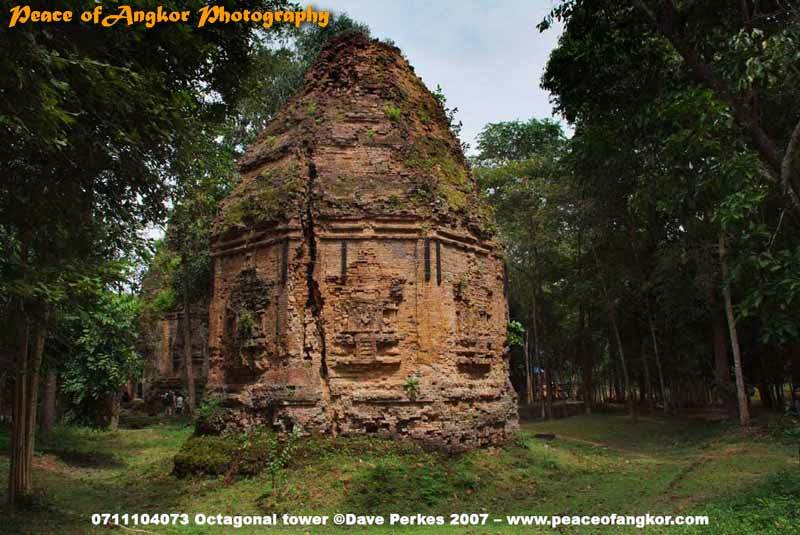 Peace Of Angkor Have been at the cutting edge of remote tourism since 2004 when we ran our first tours to Beng Mealea, villages on the Tonle Sap lake and Preah Vihear. 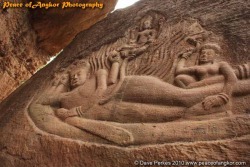 We have continually pushed the boundaries of what is possible; way beyond most tour companies. Our unrivaled Remote and photographic experience means; anyone who has any interest in photographing remote Cambodia will have an incredible experience that no other tour company can match!